This is the C.V. of Dr. Pavel Fabry that was written in English, and the following document was written in German – this was my first attempt at translating German, so it’s a little awkward, but the story of Pavel is still very compelling. Pavel Svetozar FABRY, LLD, was born on January 14th, 1891 of an old family of industrialists and businessmen. After graduating in business administration, he studied law, attaining the degree of Doctor of Law; passed the bar examinations; and successfully completed the examinations required to qualify for judgeship. Although Mr. Fabry never stood for political office nor for any political party function, he was well known for his democratic and liberal convictions, and for the defense of these principles whenever his activities gave him the opportunity to do so. He earned himself a reputation in this respect which brought him the enmity of the adversaries of democracy from both the right and the left. He became one of the first Slovaks to be sent to a concentration camp following the establishment of a Pro-German fascist regime in 1939. His release could later be arranged and he was able to take active part in the underground resistance movement against the occupant; for this activity the German secret police (Gestapo) ordered his pursuit and execution in 1945, but he was able to escape the death sentence. In spite of his resistance record (or perhaps because of it), Mr. Fabry was among those arrested by the Russian ARmy, on the instigation of the Communist Party which could not forget his anti-Communist activities dating back all the way to 1919. Due to pressure of public opinion Mr. Fabry’s imprisonment at that time was very short; but when Communist seized power in Czechoslovakia in 1948, they did not miss the opportunity to settle accounts with him. He was removed from all his offices, his property was confiscated, he was imprisoned and subjected to a third degree cross-examination taking six months. No confessions of an admission which could have served as a basis for the formulation of an accusation could, however, be elicited from Mr. Fabry, and he managed to escape from the prison hospital where he was recovering from injuries inflicted during the examination. He succeeded to reach Switzerland in January 1949, where he has continued in his economic activities as member of the Board of Directors, and later President, of an enterprise for the development of new technologies in the field of bottling and food conservation. He was also active in assisting refugees and was appointed as member of the Czechoslovak National Council-in-exile. I come from an old industrial family. My ancestors in 1603 – Matheus Fabry – from the Geneva area, Satigny Place Moulin Fabry, after the then Upper Hungary present Slovakia immigrated and in the free royal town of Nemecka Lupca – German Luptschau – in the county Liptov, Circle Liptovsky Svaty Mikulas established a tannery. This industrial tradition has remained in the family, according to the chronicles of General Hradsky. My father Josef was a prosperous merchant and industrialist. Also Vice-President of the Chamber of Commerce and president of several trade and finance companies. Board member of some industry and financial companies. Maternally I am also descended of Industrial and Estate-owning family. We were 10 siblings – seven are behind the Iron Curtain still alive, some of them in prison, some of them forcefully resettled. The parents sought to give us a good education with University studies, but all children had to complete some studies in trade. I attended Hungarian schools, because we did not have a middle school in their mother tongue. My parents tradition and my studies gave me the future direction of my C.V. I have allowed for easier overview and orientation in the supplements a special list of 1. Personal Data, 2. Vocational activities, 3. the International profession – Law practice, 4. The national economy – Professional activity, 5. Of the public, political, religious, social and charitable activities, as well as a line up of assets and income up to the time of the persecution, submitted, which discuss my work and resume enough. As evident from the personal data, I had at the end of WWI, as a military lawyer for the military commander in Budapest, opportunity to observe the infiltration of communism and drew all my future consequences therefrom. As can also be seen from the personnel records, I was appointed as High Commissioner Plenipotentiary for the military command of eastern Slovakia. At that time, the Kremlin gave directives to the members of the Comintern, to create all the conditions you can imagine out of the Ruhr against an eastern power, as potential factor for war. Therefore, the then Hungarian Communist leader Bela Kun was commissioned to warlike attack of Slovakia, since at the same time Poland was to be attacked by Moscow military, the objective was, from Poland as an Industry and Agricultural country, and from Slovakia and Hungary as Agricultural states, to form a political unity under Communist leadership. This should then be as the basis for conquest of East and Central Germany, and then the Ruhr territories served. These efforts have been, in spite of fierce fighting in Poland and Slovakia, thwarted under great bloodshed. Unfortunately at Yalta was Communism facilitated, by Stalin’s perfidy, clumsy (plumpen) breach of contract, and betrayal to conquer these areas. As can be seen from the personnel data, the Slovak Intelligentsia before WWII was eager to visit the great German culture as close neighbors, and study them in the country of origin. Therefore, each family was trying to get their children educated in the German Universities, as well as other German institutions. So I spent the semester of 1910/11 at the University of Berlin. Of course, religion played a significant role with cultural trends, since a third of Slovaks were Augsberg Confession Protestant and wanted nothing more than to visit the land of Luther and his faith. The great and unique education of that time has influenced my whole future life, and has quite clearly had an impact in my subsequent work in business and public. So I led as President of Industry Associations that all protocols and negotiations were bilingual, though barely 20% of all industrialists in Slovakia were of German language and nationality. The leading representatives of German diplomacy and economy were in my home, and were frequent preferred guests on my extensive hunting grounds. It is therefore understandable, that the persecution under the Nazi Regime of Germany has hit me doubly hard. I will mention only in passing that I spent many years on my annual holiday in Germany, specifically in Reichenhall, in the Kurhaus Hotel Axelmannstein of the Seethaler family. However, I also observed at that time the undemocratic developement of the Nazis in Munich at Reichenhall, and practiced my objective critique so that I was advised to disappear from Reichenhall. I then had to follow with the establishment of the Slovak state by Hitler, immediately carried out by the exponents of the Nazi Organization. Even though I with the then Prime Minister Dr. Tiso and his staff maintained very friendly relations in the then state of Slovak autonomy, I was, after the creation (on Hitler’s orders) of the so-called Independent Slovak State, on command (einschreitung ?) of Nazi Franz Karmasin‘s leadership, arrested and taken by the Hlinka Guard (Slovak SS) — locked military barracks (Kasernen eingesperrt). There I was subjected to torture and abuse of the second degree. When this became public knowledge, it upset the leadership of the Slovak State, and after several days I was released. But a week later, in late March, I was re-arrested again on the orders of Nazi Leadership (Karmasin), and transferred to the prison fortress Illava, to be held prisoner there under menschenwurdigsten (?) circumstances. I was put in the basement of this prison fortress, where the primitive central heating had long been out of operation. Days and nights, we had to spend in indescribable cold, with nothing to protect us but a few ragged horse blankets. In preparation for these inhumanities, specially chosen prisoners, I also among them, were tortured in the infamous “Koks-oder Schreckenskeller” (Coke – Kokshaufen – or Horror Cellar). They threw us in the Kokshaufen (? ), covered us with a rug, so you do not see the wounds, and I, along with the Editor-in-Chief of the Newspaper Union Korman, were beaten throughout the night in the most barbarous ways. During this ordeal, my stomach and liver were so much affected that there later became ulcers on the lining of my stomach. On my way to Illava prison the transport had to be stopped, because I was vomiting blood. In spite of terrible pain, the provisional prison doctor denied me his help, with the remark that he would not because of my fall out with authorities. During the visits, however, my fellow prisoners reported of my fate, and it was an energetic intervention. There was an inspection and a physician, Dr. Pikova, took me into the prison hospital. My condition deteriorated, however, living in a dangerous manner, and I had alarmingly high blood pressure and a low temperature of 31-32 degrees celcius. At last, I was transferred to the surgical ward of the hospital in Bratislava by Professors Carsky and Razus, and taken into treatment. In surgery they did not consider my weakened condition. For weeks I hovered between life and death. Of course, it did not look favorable that during the whole time I was heavily guarded by police inside the hospital, and had not the slightest possibility of speaking with anyone other than the doctors. After many long weeks I was finally allowed to transfer to my Villa again, of course, only under intense surveillance, day and night, in the hall of the Villa, and apart from my wife and my children no one was allowed to come in contact with me. I had scarcely gained some new strength, when the newly appointed German Ambassador [Manfried Freiherr von] Killinger demanded the immediate surrender of my Villa and the entire facility. Killinger was already notorious when he came to Slovakia, and his crimes were well known. I refused him the provision, never concealing my general convictions, even then, though I was a sick man. The following day an order was issued by the Nazi leadership to have me expelled from Bratislava in the night, and confiscate the Villa with everything. My one daughter was not even allowed to take her school books. I was expelled to a village in Wagtal with security guards, and I menschenunwudigsten (?) this treatment, I was almost always delivered by drunken guardsmen. After a few months, I was taken to another location, which was repeated several times, because many people had taken note of my unimaginably cruel treatment, and protested every time. I had lodged an appeal against the expulsion, whereupon Killinger promptly dismissed the appeal and made my deportation into a life sentence. The carrying out was taken on by Presidialchef des Prasidiums (?) Dr. Koso, whereupon I was removed from the bar association and could not practice my profession. At the same time they also pointed out my son from Bratislava, stripping him of the right to University studies (weiterzustudieren). My law firm was confiscated. 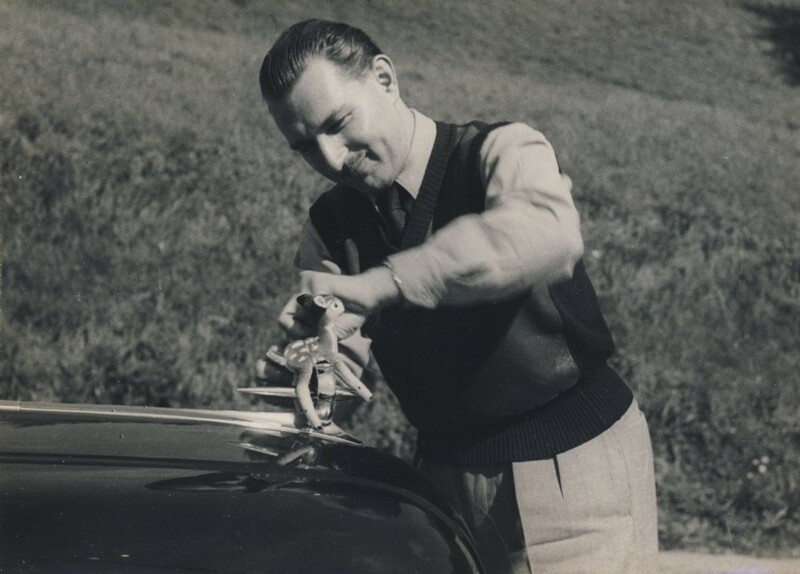 Together with the decision number 171/1940 a fine of 2 Million Crowns was imposed on me, and my cars and private plane were confiscated to deprive me of any possible movement or escape. The then representative of the NSDAP (Nazi Party), Harold Steinacker, directed a criminal complaint against me for alleged criticism of Nazi leadership, and attempted to bring an action in the District Court of Trencin. The President of the District Court, however, Dr. Sebak, was my devoted friend, because I had helped him during the war and supported him, so that he achieved the presidency of the District Court. With great skill, he was therefore able to thwart the arrest on the grounds of my parlous state of health, and to sabotage the sentencing, until my re-arrest and committal to a military prison. At the outbreak of the uprising in Slovakia, I was together with Councillor Orsag and Colonel Black and was arrested by the Gestapo, brought to a military prison and charged again with accusations. The sustained maltreatment and prison stays, however, had deteriorated my health so that, in spite of the refusal of the prison commander Minari, the doctor summoned me in hospital medical care, also for the reason that the prison was repeatedly bombed. When the prisoners demanded that they grant us protection in a bomb-proof cellar during the attacks, the commander said the prison had no bomb shelter; but he was willing to build one, when the prisoners would give him money. Since I was the only wealthy one among them, he demanded that sum from me, which my family had to hand over to him. The plans for the shelter had made another political prisoner, who was an architect. The construction, however, was never carried out, and some of the prisoners had to pay with their lives in the next bombing. The commander has simply embezzled the money. From the hospital, I managed to regain freedom with the help of doctors, and put myself in the care of a private sanatorium in Smokovec in the Tatras, and after that to Mikulas. At that time, the front was already in Dukla and the evacuation of businesses was ordered in Slovakia. The Slovak government met with the German army leaders on agreement what categories and what quantities of industrial equipment and supplies, as well as food stuffs, must be evacuated, and what proportion of the population must be left for livelihood opportunities. There were sharp measures arranged against anyone that would violate these proposals (proporzen). Unfortunately, agreed commanders behaved “intrinsically Faust” and took everything that was available. Even the most minimal stocks of sugar, which were reserved for the population, should be “saved” for Switzerland, generally considered, however, to be a “rescue fund” created for known and unknown Nazi-Grossen (Nazi-Greats). The sugar industry was outraged, and the chief of central supply, Dr. Vondruska, was himself powerless against these groups. With the sugar industry representatives, he intervened even with me, as a long-time lawyer of the sugar industry. There was no other way out, other than by rapid distribution to the consumers, to save this situation. The workers – the railway workers – all day and night helped with zeal, and also to cover that the allotment price of 106 Million measures had been taken. Also with other inventories, which were reserved for the security of the population, there were similar practices. I emphasize that only a portion of the distribution determined inventory was saved, the majority was evacuated by unconstitutional agreement – where it happened, no one knows but the participants. Finally, in the middle of February, they wanted to evacuate the whole population of Liptov Mikulas district, including older people and those who were suspect, i.e. once we were already arrested and released we were to be deported immediately. I was asked to intervene as delegate for the highest of ecclesiastical dignitaries, because 20 degree (gradige) cold prevailed, and there were large snow drifts, and also the district and the city had been shut down for 3 months from any traffic, without light, because the Front had been here in the country for weeks. The commander Schuhmacher was inclined to postpone the evacuation, but demanded that in order for the soldiers to buy different things, necessary funds should be provided. But that very night. I had obtained the postponement with considerable financial sacrifice – and for my person, also. After the Front had changed in the following days, the population was rescued. However, I had all the proscribed people brought to safety at once. For this, defending the Convention and actively deporting the shifted district humanely, I was arrested by the Gestapo in Ruzomberok and sentences to death, and also my son in absentia. At the end of hostilities, in the awareness that these persecutions and abuse to me was not the German people, but a power-hungry clique had done this, I have done everything to love my fellow Germans in Slovakia, to mitigate those innocent who were often subjected to reprisals. The Slovak people would never have handed over his fellow Germans to be expelled, but the higher command out of Potsdam and the pressure of the so-called Russian Liberators could not be avoided. Nevertheless, I managed that the major part of the reported families from Slovakia, from the Paprad camp, not be sent into the Soviet zone, as was already prepared, but were transferred to the Western zones and also to Austria. In this manner, I managed to at least partially reimburse you for those times in Germany and Berlin University, in which I received the scientific foundations I have always considered to be invaluable. As the so-called Russian Liberation Army in Slovakia – consuming (raubend) more than liberating – invaded our city, I was immediately arrested and led into the basement of the NKVD, where I found quite a few others arrested. The public, especially the workers in awareness that I freed from deportation a few days before, chose to stand up and with the deputation of workers demanded the immediate release from liability. But the commander of the NKVD also had the deputation arrested and had me lead them into the cellar. 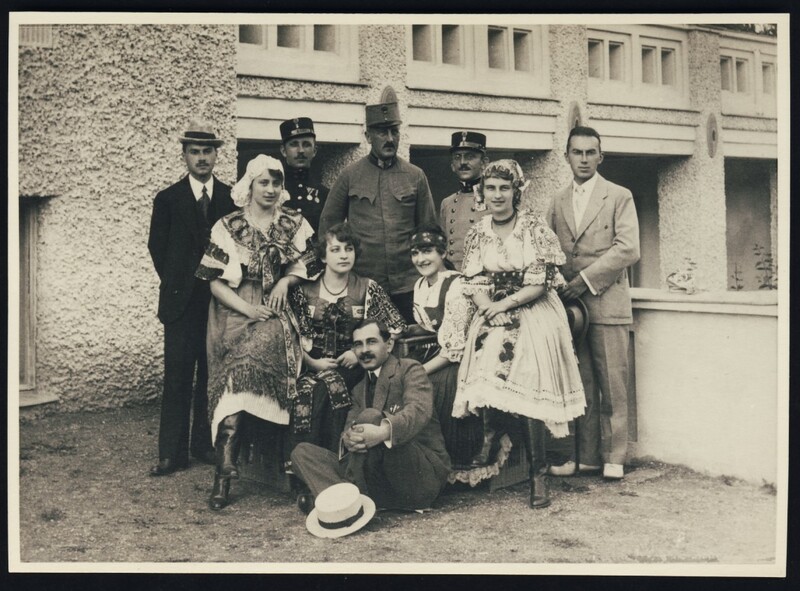 The workers union had accumulated in front of the Villa and vigorously demanded the release from liability, whereupon the commander turned to the High command in Kosice, whereupon we were released – seven and a few, but the rest were to be deported to Siberia. The NKVD commander later said I was arrested on the basis of the request of the Hungarian Communists, because I, as High Commissioner in 1919, acted so harshly (so schroff) against the troops of Bela Kun. And he said that if I was released now, I would not be spared Siberia. The spontaneous demonstrations of the public gave me the strength to forcefully intervene against many attacks, and also to help my fellow Germans and give confirmation that they behaved decently during the Hitler era, and to stifle all individual personal attacks of vengeance in the bud. As I have already mentioned, I was able to help the internees that they not go to the Soviet zone, as was planned, but were sent to West Germany and Austria. I was a daily visitor to collection centers and in prisons, to help where help was justified. My parlous state of health has not allowed me to carry my work further. The law firm I have has only a limited representation of associates, and these are only my best performing workers. After the Communist coup performed by Russian Deputy Foreign Minister [Valerian] Zorin for the Communists, the time is broken up with invoices to settle for my work against Communism as High Commissioner in 1919. And on the instructions of the insulted Rakosi I was first of all relieved of all my functions and representatives, and subjected to all possible harassment, interrogations, etc. When I went to the delegation, as elected President of the Financial and Economic Committee of the General Assembly of the World Council of Churches, in Amsterdam, and was asked for my passport, I was arrested on the pretext of excessive imaginary charges. My whole fortune was taken, all accounts were confiscated and my Villa locked with furnishings, clothes, supplies, and everything, since it was the Consul-General of Russia; and on the same evening I was arrested as a “National Gift”, the nation was taken over, and in the night the Russians transferred the land register. The Swiss authorities immediately received me as a political refugee and assured me of asylum, and issued all the necessary travel documents. To this day I am constantly witness to the most amiable concessions by the Swiss authorities. And so I expect at least the compensation for my damages in accordance with the provisions applicable to political refugees. This entry was posted in Czechoslovakia, Dr. Pavel Fabry, Uncategorized and tagged Bela Kun, Bratislava, Comintern, Communism, Czechoslovakia, family history, Fascism, Franz Karmasin, Genealogy, Germany, Harold Steinacker, history, Hitler, Hungary, Manfried Freiherr von Killinger, Nazis, NKVD, Pavel Fabry, political refugees, Russia, Russian Embassy, Simone Baridon, Slovak history, Stalin, translating, Valerian Zorin on June 28, 2013 by fabryhistory.